Squash isn't an Olympic sport, but video gaming might be. How do they decide? Winning a spot at the Olympics is often about a sport's media visibility, but one Canadian campaign has finally paid off. Squash is out at the 2020 Olympics in Tokyo. Skateboarding, climbing, surfing, karate and baseball/softball — a combination of the two sports — are in. 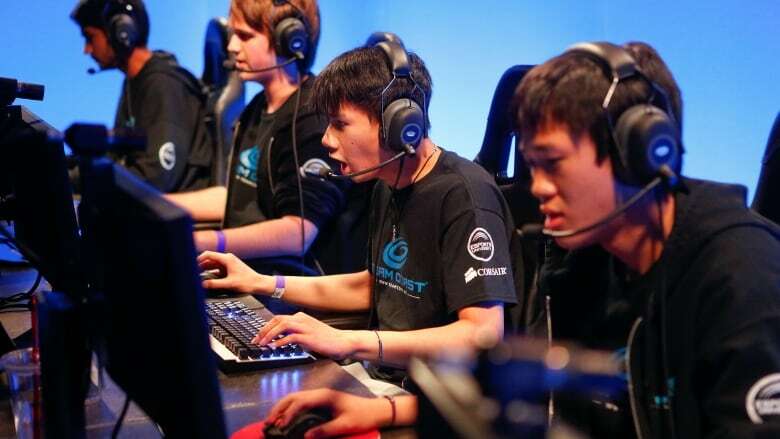 E-sports, competitive video gaming, could be included in the 2024 Games in Paris, with the International Olympic Committee (IOC) exploring the option. That proposal doesn't surprise Michael Heine, the director of the International Centre for Olympic Studies at the University of Western Ontario. "The IOC is very aware of the fact that global audiences for e-sports are ballooning," he said, "they are probably at around 400 million viewers this year." "It's hugely popular, in particular among young people," he said, adding that the IOC's media profile has "significant aging problems" and needs to attract a younger audience. Sort of like figure skating on snow with skis. Ski ballet was a demonstration event at both the 1988 and 1992 Olympics. Exactly what it sounds like: a horse and a rider see just how far they can jump. The sport's first and only appearance was 1900. Skiers hang on to the reins of a horse, or a dog, and get pulled along over ice or snow. It only showed up as a demonstration sport once at the 1928 Winter Games. Now it's played at picnics and school sports days, but tug of war was featured in five modern Olympic Games, from 1900 through to 1920. It was also part of the ancient Olympics. This might sound a little bit like an oxymoron, but this was a sport at the Olympic Games between 1984 and 1992. Up to a few years ago the IOC limited the number of sports to 28, meaning if you wanted to get your sport in, another sport had to be kicked out. That's been scrapped, but there is a limit on the total number of athletes at the Games overall. In choosing new sports, the IOC's primary concern is popularity, and how a sport can strengthen the platform of the Olympics overall. "The interesting thing is that if you look at what we might mean by popularity," he told guest host Laura Lynch, "it's not so much the number of active participants in the sport across the globe, but the media presence of the event." "What kind of page hits does the International Sports Federation get, what's the visibility of the sport in social media?" "The IOC strategically looks at this in terms of the utility of the sport as a platform for the Olympic visibility," he said, "and then secondarily also at the utility of the sport being on the Olympic program, which in many cases is immense." 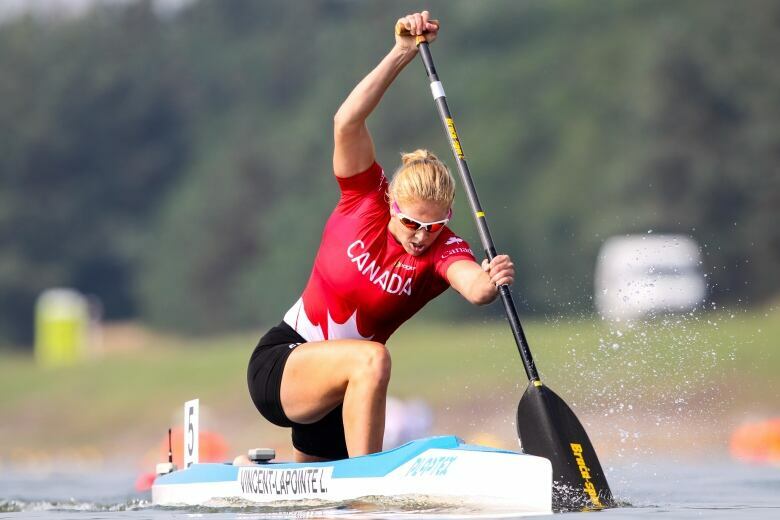 Squash may not have made it, but the 2020 Games will feature women's canoe events for the first time. LA Schmidt, a committee chief at Canoe Kayak Canada, was part of the campaign to have it included. Men's canoe events have been included since 1924, but it's taken almost a century for women to get their shot at the podium. Schmidt said that officials in the past insisted that canoeing "wasn't good for our bodies, and particularly our reproductive organs," as well as questioning whether women were competitive enough. Persistence was key to overturning those ideas, she said, with volunteers who "pushed the envelope to the max." "It's probably bittersweet for a good chunk of our women in canoe," she said, "but for those that do get the opportunity in 2020, we are all going to be glued to our TV sets." For Schmidt and many of the athletes who fought to get the sport into the Olympics, the victory came too late for them to compete. 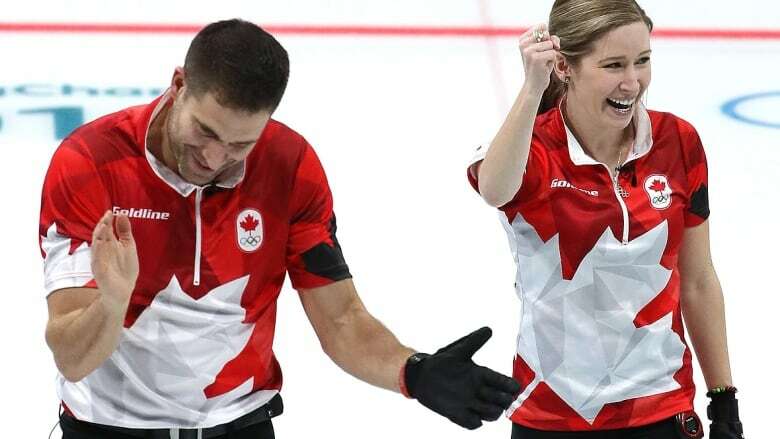 Listen to the full conversation — which includes a report from CBC journalist Adam van Koeverden on mixed doubles curling — at the top of this page. This segment was produced by The Current's Rosa Kim and Anne Penman.